Aug 6 - Power without power - Look at the impact on this one! Last night the power was out at the gym, so I threw up my SB-800 and took a few photos anyway thinking I might get some artsy creative lighting. I ended up talking with a patron at ringside and missed a few real opportunities, but did get a few good ones. I wish I had taken more photos. 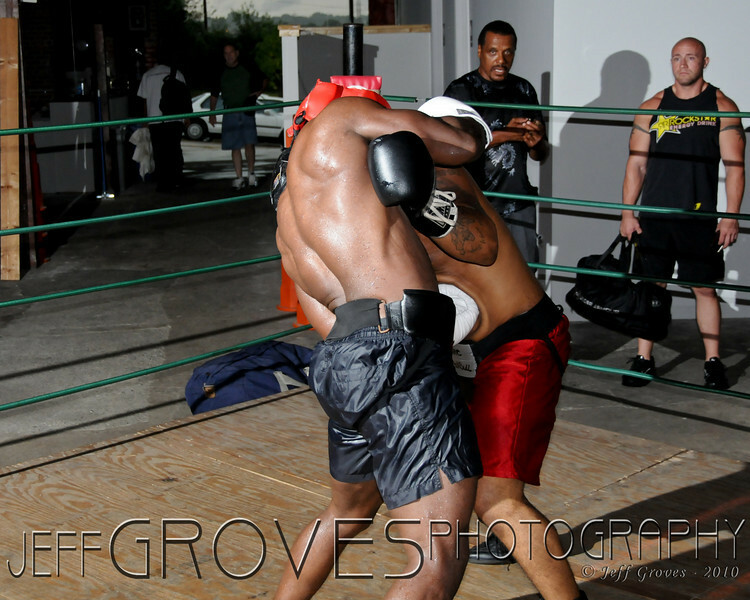 Even though you cannot see either boxers face, this one impressed me because of point of contact and the way the guys stomach absorbed the punch. As close as they are, you would not think that there was much power behind a punch, but looking at it, I am thinking he felt that!